The Esculta is a compact version of the Boker Arbolito El Gigante. 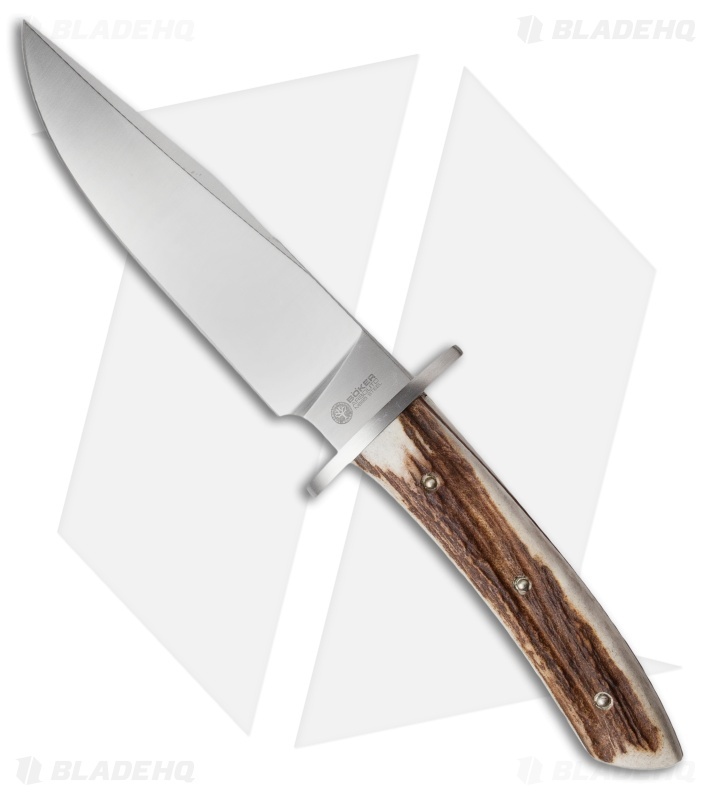 It is a good size knife and well suited for the outdoors and hunting. The stag handle gives Esculta an equally strong grip and optimal handling as the El Gigante. It has a stainless steel guard and a Bohler N695 steel blade with a satin finish. 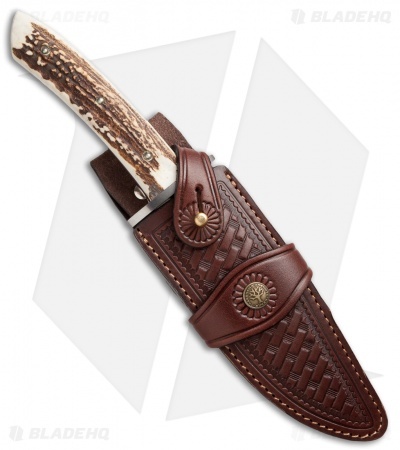 Includes a deluxe leather sheath.